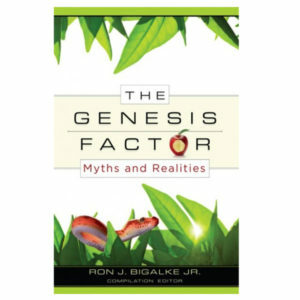 The early chapters of Genesis are concerned with the origin of the Earth and all life, including man. The Author’s intention is seemingly to present the grand picture first and then add certain details throughout the rest of Scripture; this is called Progressive Revelation. All we are told about Adam’s offspring is that the first son was named Cain, the second son named Abel [Genesis 4:1-2 ], then after Abel’s murder, another son named Seth was “begotten when Adam was 130 years old.” After that, Adam “begot sons and daughters” [Genesis 5:3-4]. This same passage also tells us that Adam lived for 930 years [Genesis 5:5]. Therefore, according to Scripture, Adam and Eve’s family consisted of sons Cain, Abel and Seth, plus a minimum of two other sons and two daughters, giving a total of seven children. However, accepting that Adam, and likely Eve, lived for 930 years, seven children would be the minimum number, but does this seem reasonable? Genesis chapter five presents the genealogies of the descendants of Adam where we are simply given the father’s name, his age when he “begot” the first son and the total number of years he lived. With the exception of Enoch, all of these pre-flood descendants of Adam lived a minimum of 777 years, while most were over 900 years. In each instance, the record simply gives the name of the first son, then adds “and begot sons and daughters.” With these words, the minimum number of children per family then becomes five. But is this really a credible number? Living over 900 years means living ten times longer than we do today. Proportionately, the female period of fecundity – today 30 to 35 years – would then be about 350 years. At a rate of only one child every seven years, this would result in 50 children for Adam’s immediate family. Interestingly, two ancient books written about the time of Christ but not having the authority of inspired Scripture confirm these figures. The Book of Jubilees, whose author is unknown, was written in the second century B.C. and states that Adam and Eve were in the Garden of Paradise seven years [p.49]. Then Eve gave birth to her first child, Cain, between the ages of 64-70, or the same numbers as the age of the Earth, anno mundi. Eve’s second child, Abel, was born seven years later – between the years 71-77 anno mundi [p.51]. The total number of Adam’s children is not given in this work; however, it is found as a footnote in The Works of Josephus where it states: “The number of Adam’s children, as says the old tradition, was 33 sons and 23 daughters.” In view of their longevity, these appear to be reasonable figures while it would have to be said that, sinners though they were, Adam and Eve had faithfully obeyed God’s first commission to: “be fruitful and multiply …” [Genesis 1:28]. References: Charles, Robert Henry [translator]. 2005. The Book of Jubilees or the Little Genesis. Original publishers: Society for Promoting Christian Knowledge, UK. Published 2005 by: Ibis Press, Berwick, Maine. Whiston, William [translator]. The Works of Josephus. Hendrickson Publishers [First AD 93, this ed.1804] Book 1, Chapter 2, verse 3 footnote.